In addition to the affordable shops I frequent most, I love to find reasons to meander into my favorite boutiques scattered around LA. Whether it be a designer retail store or a curated makeup shop, I love the experience of being in a cool space that feels unique and special. I don't always purchase when I shop these spots, but I do frequent for fun, always keeping my eye out for something to add to my never ending wish-list. 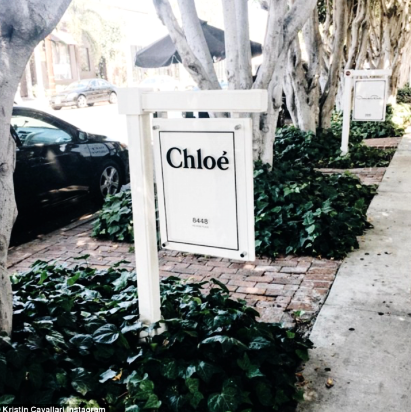 Chloe is situated on the most dreamy little alley off of Melrose Place, making it extra special to window shop here with a girlfriend. I am extra fond of the bags and boots here but truly love it all. Chloe is definitely an all time favorite for my personal style. Read on for my other faves! Ahhhh Zimmermann! 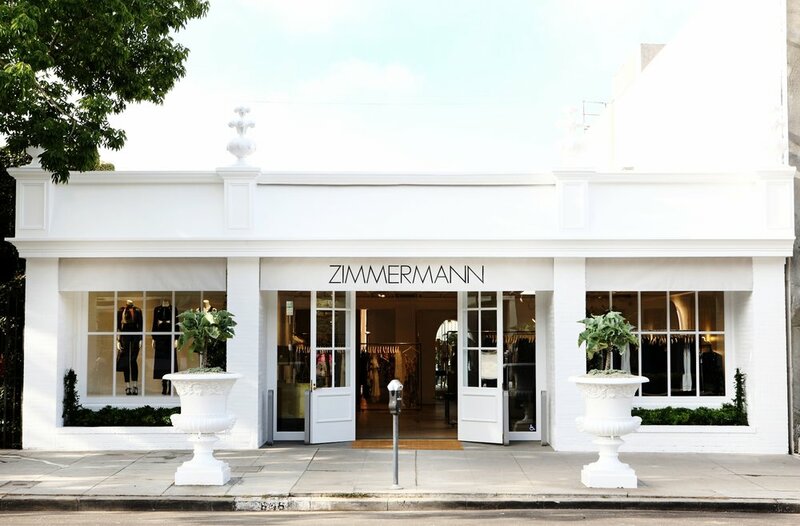 I have never met a single person who loves fashion that doesn't appreciate the whimsical and detail oriented design of everything Zimmermann. I truly would wear their dresses and swim suits everyday if I could. Also located on Melrose place! Isabel Marant does bohemian/street chic better than anyone I have seen. She designs with equal parts feminine while still being cool and edgy. Also on Melrose Place. Seeing a theme here? Violet Grey is the ultimate girls haven with curated makeup and skincare so there is no guessing and feeling overwhelmed. Its directly across from Chloe, tucked away down a lush and whimsical alleyway. As soon as you walk in, you'll feel pampered as the surroundings are serene, beautiful, and make refilling a product a fun event, not just an errand. I LOVE APC for their Parisian staples. Their purses and shoes are understated and gorgeous, very clearly quality pieces. Truthfully, I have never purchased anything here at retail, but love to go in the store and mosey around. The only A.P.C I own is from Wasteland and cost under $60. Definitely worth the hunt. I don't need to say anything, as I think everyone is loving Gucci right now. Along Sunset Blvd. in Silverlake, Bucks and Does is a small little shop that always has a fun selection of printed dresses and tops. Its one of my favorite Eastside spots that is a go to for a casual but unique piece that makes me feel special. Just down the street from Bucks and Does is this cute apothecary shop with a pink exterior. I love the selection at Le Pink and Co. here with hard to find brands like RMS, Juliet has a Gun, and Tokyo Milk. A cute shop to just peruse! 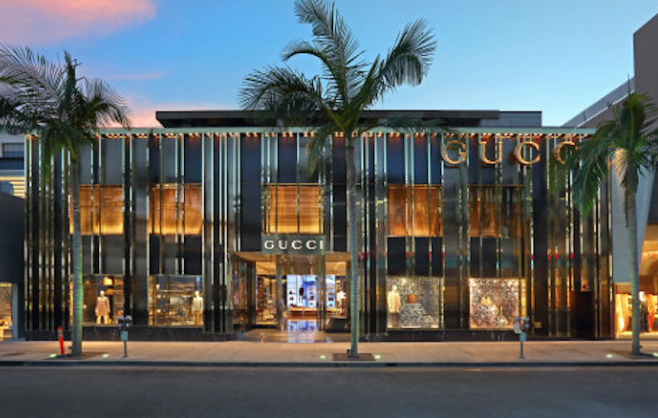 What Goes Around Comes Around in Beverly Hills has a beautifully curated selection of luxury brands, vintage and the like. 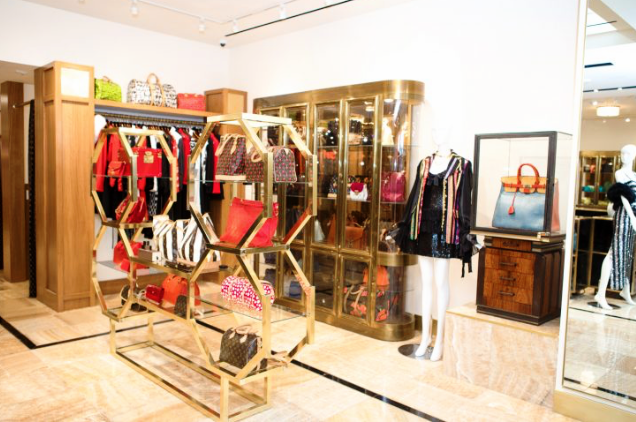 I love coming in this store to get inspiration and check out the gorgeously designed interiors which are pristine! The owner has a meticulous eye for design and does the interiors himself! Principessa is the ultimate California casual boutique, carrying brands that scream boho luxe. This boutique perfectly matches the vibe of Venice Beach and Abbot Kinney, where its located. I love this shop for feminine and effortless pieces. Beehive is a shop in Manhattan Beach that carries chic and casual staples from brands like Elizabeth and James, For Love and Lemons, and Stone Cold Fox. Its for the lady that loves to look casual but put together with a fun flare. 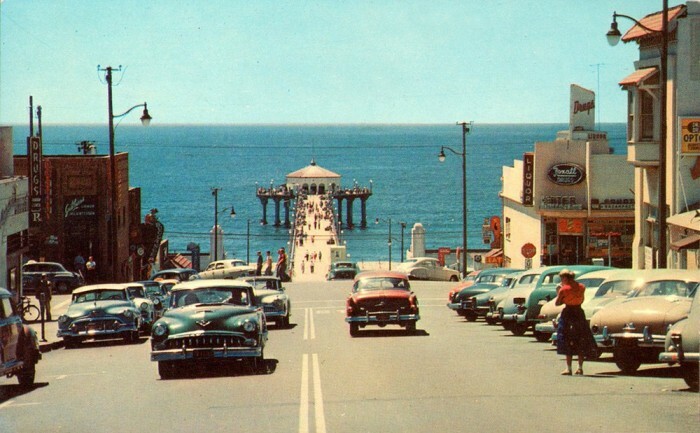 Wrights, also in Manhattan Beach, is the higher end version of its sister company, Beehive. Owned by the same people, you can tell the buyer has great taste and an eye for style. Instead of carrying more midline brands like Beehive, Wrights carries brands like Isabel Marant, Ulla Johnson, and Rag and Bone. Its pricey, but if you are up for retail designer, this place has got the best options. I recently discovered Envy while looking for a great place to get my ears pierced in the beach cities. I was expecting a typical piercing joint... one that felt a little rough but got the job done quick and without a gun. I walked in and discovered it was more of a curated earring shop with a variety of shapes and sizes of stones and gems. I love it! From trendy little lightning studs to opals and turquoise, this place has a large and stylish selection. Escueleto is a super cool and unique jewelry store in Echo Park owned by designer, Lauren Wolf. Featuring her jewelry line along with her curated picks, Wolf has created a truly authentic neighborhood boutique that has a lust worthy selection of hand crafted pieces with an edge. 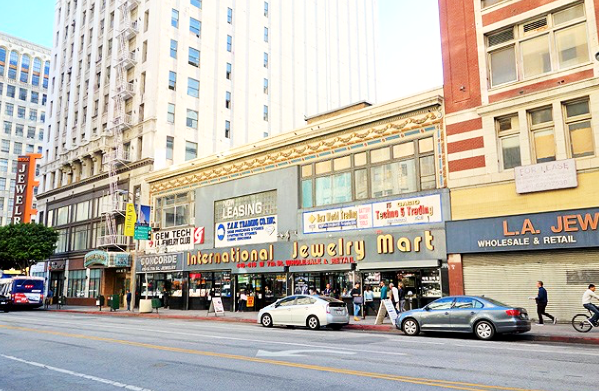 The jewelry district in downtown has a huge selection of vendors that sell every variety of jewelry. Some vendors/ shops are more hip than others so definitely walk around and take a look. If you're familiar with the price of jewelry at boutiques, you'll see immediately this place is a quarter of the price for the same designs! Roseark is the ultimate in jewelry, as well a lifesetyle. 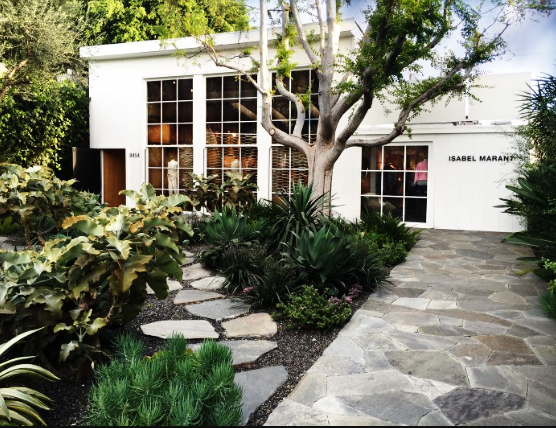 Set in a 5,000 square foot bungalow in Weho, they carry designers and labels that represent the total lifestyle experience. From the most insane jewelry you've ever seen to home furnishings and art. Just go!